We’d love your help. 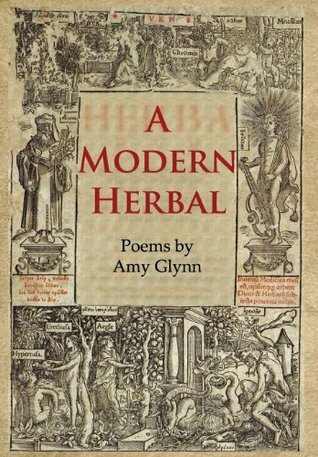 Let us know what’s wrong with this preview of A Modern Herbal by Amy Glynn. Published November 17th 2013 by Measure Press Inc.
To ask other readers questions about A Modern Herbal, please sign up. A deeply emotional collection of poems about 47 plants, some familiar and others not so. I eagerly flipped through the pages to roam in Amy Glynn’s lush garden. One of my favorite poems is Pomegranate, a pithy fruit difficult to consume, under her pen, bursting with sensuality, promise, mythical power, and yet tragically taken in its prime. Passionate, achingly beautiful, the poems make you fall for Glynn’s wit, humor, humility, her precise and unflinching vision. Yang Huang, author of Living Tre A deeply emotional collection of poems about 47 plants, some familiar and others not so. I eagerly flipped through the pages to roam in Amy Glynn’s lush garden. One of my favorite poems is Pomegranate, a pithy fruit difficult to consume, under her pen, bursting with sensuality, promise, mythical power, and yet tragically taken in its prime. Extraordinary use of words to create images, stories, beauty and a new way to see and engage with our amazing botanical heritage and ourselves, our feelings, our desires and pain, joy and experience. Life. Real life wrapped in a beautiful poems I can read over and over and always find something new. And I smile.